If you have been waiting for the White iPhone 4 to be released, your wait just got longer. The Reuters news agency has confirmed with Apple that the white iPhone has been delayed again, this time to a somewhat vague release date of Spring of 2011. There have been rumors that the White iPhone has proven to be very difficult to manufacture to Apple’s high quality standards. Reuters points out that regardless of the color, Apple is having no problems selling the existing iPhone, which sold a record 14.1 million devices in the last quarter. Perhaps coincidentally, Spring of 2011 is also when the Verizon iPhone is expected to be released, as reports indicate an “Early 2011” release date. White iPhone 4 Availability Date: 2/27? its not dirty that they are waiting to release it. its dirty that they initially said it would be releasing it with the black iphone 4 and (wether it was manufacturing problems, or just realizing that they could make more profits) have time and time again pushed back the release date. 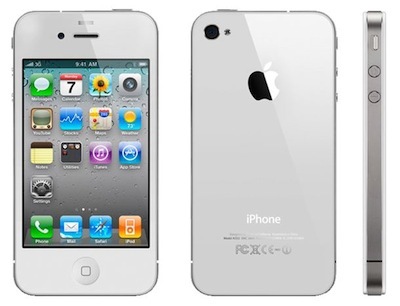 I think by the time this white I phone 4 comes out I can just wait to buy it for verizon and get 5g! I might even decide to go with sprints 69.99 unlimited plan and just go EVO… Im tired of being the bent over consumer while At&t and apple stick it to me with 2gb data plans and disappointing service. AT&T is upgrading to a 4G service, I forgot the day but its soon if it hasn’t already been done, you can go with sprint but when they make a new iphone that runs on a 4G service it will kick anything the EVO can do. just something to think about. youre crazy to think that verizon will come out with 5g if 4g has not even been released. by the way, when Verizon and ATT get 4g, its surprisingly going to be the same LTE opering system. its supposedly going to reach speeds of 100-300 Mbps/s depending on the phone or device. the downside about this is that phone not prepared for 4g will waste battery like crazy. So they’ll pretty miuch be the same thing BUT ATT will be cheaper. I’m sorry, maybe I’m not understanding this correctly, but can’t they just make an Iphone thats white? I mean, why should it be different? I just saw someone using white iphone4 in the wedding that I attend last Sunday. I’m so sure it is the white version. Then I ask him where did you get your white iPhone 4 ?! He just give me a smile then said I’m not allowed to say.. Like wtF! Then her sister told me that they are taking the pre-orders..
His last name is Wong I don’t know his first name.. Hate it when apple is covering things up when its actually out of the market! Some 17 year old kid was getting the white cases directly from the manufacturer and selling them online. They sell white iphone’s on 3rd party sites, the problem I have heard with these is that the screen isn’t white like apple’s was supposed to be, the Retina display is replaced and the steel alloy used on the bands around the iphone are replaced with a cheaper product. i dont understand why someone would actually spend money on some knockoff made with cheap materials instead of waiting a little bit more for the real thing that won’t disintegrate by the 3rd month. if someone’s so desperate to get an iphone, they should just get the black one. just saying. Hello I love apple products. I couldn’t wait for the white phone to come out so I took it to some iPhone clinic and they make my black iPhone to a white iPhone! It’s awesome kinda pricy tho. 100 dollars to make it white. I love it and just a few people here and there have it. Everywhere I go people ask is that the white iPhone! I’m gonna paint my black one white and walk around the malls and let people drool over it. When they ask where did I get it I’ll tell them the Apple store, but I think they only have 20 or so left. Then I’ll watch the stampede and see how the associates handle the onslaught of people and when they say we have none here, it’s gonna get messy, hahahaha. People who have the white one work for apple, or friends of the people that work for apple, or people who bought them from the friends of apple employees. My buddy has had it for about 4 months maybe even longer. This story is valid actually, because today there was even more evidence that Spring for White iPhone 4 will be in production for release. I have a white apple iphone 4g, of cours it is a replica but it still has the apple logo and works with att service. spring 2011 is when 4g for ATT will be coming out… i think the iphone has been delayed for better sales.. people will want to buy the new iphone specially with this new fast 4g network. maybe they’re looking for a new record? Uhmm actually AT&T does not have horrible service it’s just that AT&T covers BIG citys, and verizon covers the small crappy towns! So yeah, AT&T isnt horrible. And they wont have the 5G for verizon before they have it for AT&T, it’s better. For next year Apple don’t have any plans for the new product. They will release the white one then as a new one, that will cover 2011 line of apple new product releases. The iPhone are coming to Verizon in 2012… At&t has a contract with Apple saying AT&T will the the iPhone’s for 5 years… This started in 2007, (2007- iPhone 2, 2008- iPhone 3G, 2009-iPhone 3GS, 2010 iPhone 4, and 2011 iPhone 4gs or 5). They have 5 years….. Verizon has to wait for 1 more year….. I hope the White iPhone 4 comes out in Spring!!!!! The Apple iPhone for Verizon was released today, Janruary 11 2011. The White Apple iPhone is already placed on display on the official Apple website but is currently not available for order. IS IT 100% SURE THAT THE I-PHONE WHITE WILL BE RELEASED IN SPRING???? Its just a way to make money and apple surely knows how to make bank, as soon as Verizon gets the iPhone (February 2, 2011) months later the white iPhone will come out, either way, it will come out. All apple product are expensive, but I dont think so if it is usefull specially the Iphone.. People who had Iphone says that buying I phone is wasting money coz its lock of features and its not friendly phone.. So please people in this world suggest me what product I should buy for a new mobile..
the white one changed my mind LOL…..